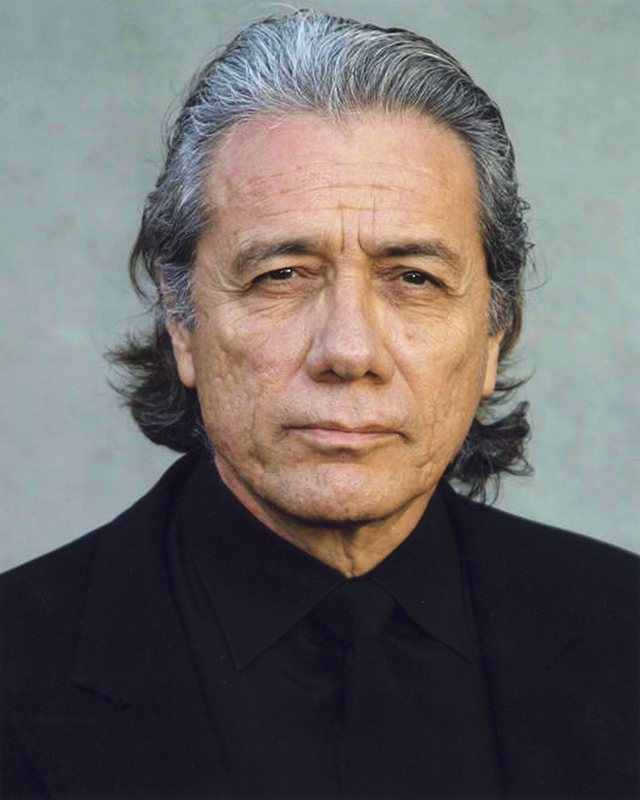 Honorary Doctorate in Humane Letters Will Be Conferred During Chapman’s College of Educational Studies Commencement Ceremony, 4:30 p.m.
ORANGE, Calif., May 15, 2014 – Oscar-nominated, Emmy Award-winning actor and humanitarian Edward James Olmos (“Battlestar Galactica,” “Stand and Deliver,” “Miami Vice,” “Blade Runner”) will receive an honorary doctorate from Chapman University during the Commencement ceremony for Chapman’s College of Educational Studies this Saturday, May 24. The ceremony will begin at 4:30 p.m. on the Bert Williams Mall, the lawn in front of Chapman’s Memorial Hall. Olmos’ Doctor of Humane Letters honoris causa degree will be conferred upon him by Chapman President Jim Doti, Ph.D., and Don Cardinal, Ph.D., dean of the College of Educational Studies. Olmos has served as a U.S. goodwill ambassador for UNICEF and as a national spokesperson for the Southwest Voter Registration Project, the Juvenile Diabetes Foundation, the AIDS Awareness Foundation, and Students against Driving Drunk (SADD), among many other causes. He was arrested and spent 20 days in prison in 1991 for taking part in protests against the U.S. Navy’s bombings of the island of Vieques, Puerto Rico. For his instrumental role in peacekeeping after the 1992 Los Angeles riots, he received the John Anson Ford Award and was honored by the NAACP for his leadership toward racial unity. He has been active in emergency relief efforts, from organizing a relief fund for the victims of the 1985 Mexico City earthquake to advocating for the victims of the 1994 Los Angeles earthquake. As “an individual who makes outstanding contributions to emerging filmmakers,” Olmos has been awarded an Eastman Second Century Award. For years, he has co-produced the Latino Book and Family Festival, and he is the co-founder of the prestigious Los Angeles Latino International Film Festival. Since 1999 Olmos has headed Latino Public Broadcasting, a consortium that allocates funds to Latino and Latina filmmakers for enhancing and enriching diversity on public television across America.